Construct 2 is a HTML5 tool that doesn't require programming knowledge. You simply drag and drop things for making 2D games. 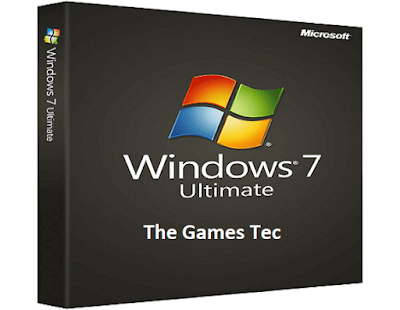 It is an intriguing tool and the interface looks like Microsoft items, so it makes it a perfect tool for users, don't have much knowledge about game engines and for those who are already game developers, it can show a couple of ways about making things much simpler. It is good for 2D arcade, puzzle, racing games. However Due to HTML5, you see that few features that your game may require won't work correctly across all devices, games can be played on Windows, Mac, Linux, but just in internet browsers. There is a free version with Personal ($119) and Business ($399) licenses. The free license is a great idea to decide if it is right for you. But free license is limited and can't be sufficient for fully featured games. Stencyl is a desktop, Web, mobile games making tool with drag and drop interface, with no coding required. The manner in which it works is like a riddle, where you need to locate the correct pieces to make actions and reactions in your product. Stencyl is a superb way to make basic games without coding. It is good for 2D RPG, arcade, actions games, platforms. Fusion 2.5 uses simple logic on a matrix base as your programming language. For those new to coding it requires a bit of time to adjust to the logic and make something work precisely how you need. This product has been around since 1994, is still exceptionally strong. Be it Windows EXE, Flash SWF, Android Apk,HTML5, iOS, it can export games fast. Extensions cover an assortment of game building tasks including parsing of strings utilizing up to two alternating delimiters using the tokenizer object creating random numbers without reusing them from different lists which can be refilled and unmistakably renewed with the random multi pool object among others. If you buy Fusion 2.5 and later you want to upgrade the version, the company offers upgrade discounts. It is a good tool for making 2D arcade, platforms, survival games. RPG Maker contains three major parts, a scenario scripting tool, a system editor and a sprite animation tool called Anime Maker, enables you to make the objects,characters and creatures that will occupy your masterwork. The system enables you to define the spells, items, characters' abilities.It is possible to make a game with no coding skills, beginners can make games. It is good for 2D RPG, arcade games. • MV Does not have a "Genuine" Android trade. With Buildbox you could truly have your game on the App Store and Google Play within a progression of weeks.The UI that is basically all Buildbox is simple to navigate and making it easy for anybody even those with no earlier game development experience to create games. It is good for 2D Casual, Puzzle Games. But Buildbox is restricted in what you can do by the real program itself. Users who wish to make a game including cutting edge game building mechanics not integrated not yet incorporated into the Buildbox. • Expensive, has a 15 day trial version, after that a $2675 license to utilize it, must be purchased. Game Maker Studio 2 is a 2D game engine that supports Mac, Windows, Android, Linux, iOS, HTML5. Programming via drag and drop in Game Maker is a great choice for beginners. This engine supports both 2D and 3D, but more regularly utilized for 2D projects. One major advantage is that it gives you a chance to make all assets for game so you can rapidly see how things look like. The drag and drop interface makes quick prototyping even for advanced game developers. It is good for 2D point click, side sccrollers, arcade games. One of the best game engines to make 2D and 3D games for all platforms. App Game Kit is a powerful game engine, compose code and export to various desktop and mobile platforms. You can write code in C++ and call AGK library of commands. AGK supports Windows, iOS, Raspberry Pi, Android, Mac, Linux and HTML5. There are no charges for upgrades, no subscription fees. Programs created with the App Game Kit is written in a language called AGK Script. This language has powerful commands including directions for 2D physics, graphics. It is good for 2D shooters, 3D Tower defense.